I saw what seemed like an astounding number of experienced and successful stationery artists. I heard what it is that the retailers are looking for. I learned that Warren Tales is on the right track, and what to expect from a conference setting. I drooled over a whole lot of breathtakingly beautiful works of everyday art, every day. It was outstanding. As I quickly learned, most exhibitors neither have the time, nor the patience for someone who--it could be mistaken--simply feigns a personal interest in their profession; so the first thing I learned was to introduce yourself with a strict air of educational (and a hint of blogger) curiosity. Be knowledgeable. Be passionate. Be appreciative. Below, I have featured a number of my favorite companies from the show. These people stood out particularly, for their extraordinary talent, but also for their kind disposition, and genuine interest in their customer and fan-base (AKA went above the call in humoring and indulging my questions). There are so many beautiful things in the world, and I feel like the most significant of it comes from the people that create it. 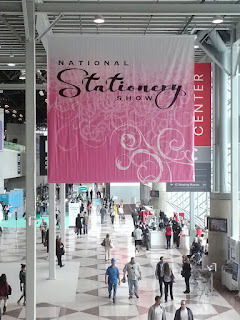 For a succinct visual overlook of the list, including portfolio pieces from presses not featured, check out the National Stationery Show 2012 board on Pinterest for all your nerdy needs! 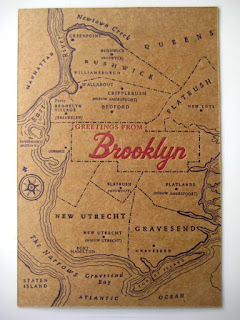 Albertine Press: The most beautiful letterpress cityscapes I have ever seen. Bar none. This press brings together a love of journals, stationery, postal letter writing, and even traveling, and packages it such a way that feels like a breath of relief, akin to when you find something you thought you'd lost. This press has everything I knew I was looking for. 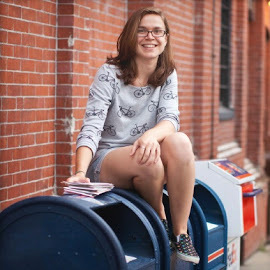 And learning that she hosts studio workshops and classes just makes me all the more happy to live so close (Albertine is based out of Somerville, Massachusetts). Austin Press: While purchasing a card in a museum gift shop, a few months ago, I happened into a conversation with the store manager about the stationery world and business. This woman suggested that I look into something called the "National Stationery Show" in New York, coming up in May, as it sounded like I (and my growing business) would enjoy and benefit from it. 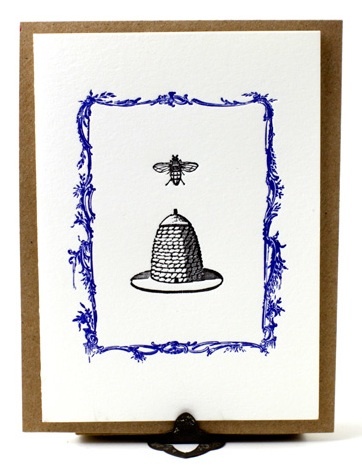 I held on to that card to send specially to my mother for Mother's Day, as we both have bee tattoos, and place our own significance in the insect. Last Sunday, as I walked up to the Austin Press booth, I discovered the connection, and thanked the artist personally for being the reason I had come to find myself there that day. I am aware that this personal story does not communicate the quality of the work, or really even describe it, but if I had to summarize this press: The aesthetic flows as if it is a part of you, and only when you have it in your hands do you realize it always has been. I challenge you to own/send/receive her work and not feel the same. Banquet Artelier & Workshop: Animal, botanical, and nautical (oh my!) screen prints to make your heart melt and your knees weak. 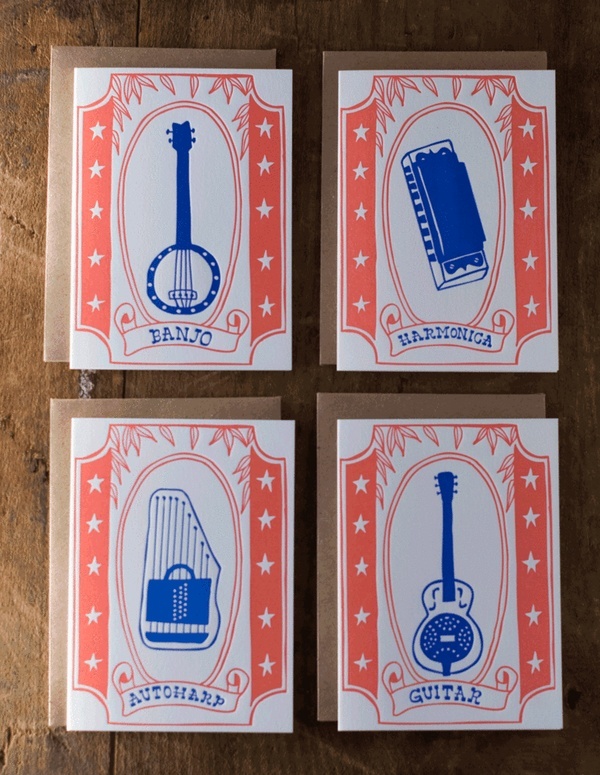 With a catalog full of cards, prints, and even temporary tattoos, each is more delightful than the last, and none so much as the lovely ladies behind the curtain. 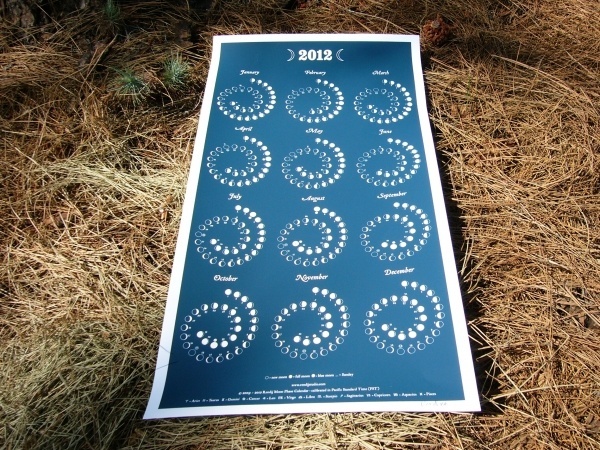 Beautifully printed, and cheerfully distributed. Benjamin Paul Letterpress: It was a funny feeling, walking around this great hall, striking up a casual conversation with a vendor, and then realising they create half of the work that you have lovingly and meticulously filled your apartment with. Benjamin Paul first caught my attention with their line of insect cards (Insecta), which I sent to people along with my finished B.F.A. thesis, back in 2010. Then, more recently, they floored me with their Carnivale collection of letterpress fairground postcards, which I have had on display since skipping home with them, many months ago. The owners were welcoming and soft spoken, helpful and appreciative. Simply put: they were as magnificent as their work. I cannot encourage you enough to give them a gander and treat yourself, or someone else. 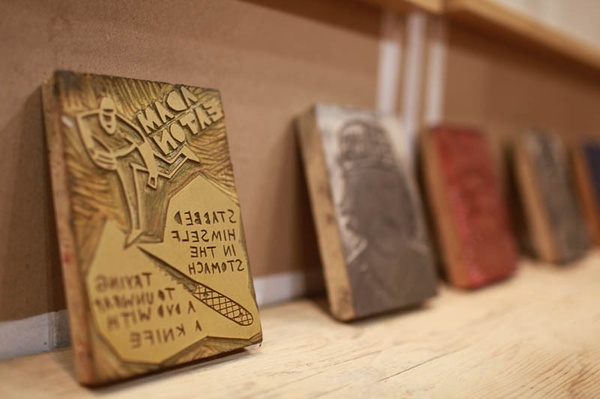 Bison Bookbinding & Letterpress: This press acts as a representative voice for a collection of artists and designers, as well as producing the work of the owners. 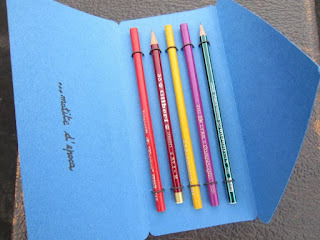 I am aware that my experience in the stationery world is just beginning, but still, I'm not sure I've ever seen a group of artists collaborating to the success that this press produces. Once again, I found myself face-to-face with the work of some of my favorite mysterious (read: fourth wall, because I clearly could have looked them up at any time but chose to believe in letterpress pixies instead) designers/artists, with the ever-attractive result of incomprehensible drooling. Karie Jane and Karoline Schnoor were my personal favorites of the featured work. 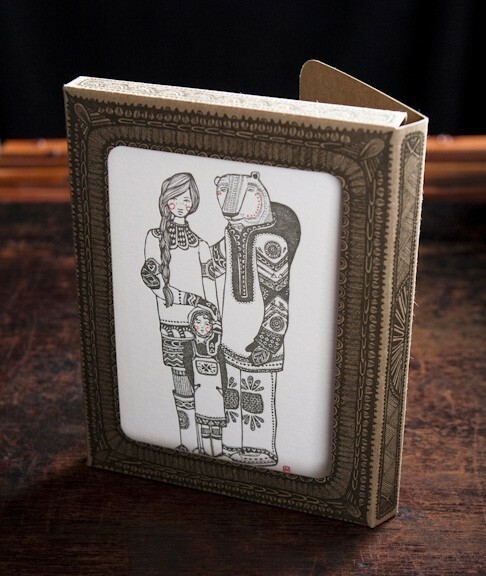 Coral & Tusk: A stunning example of original work. 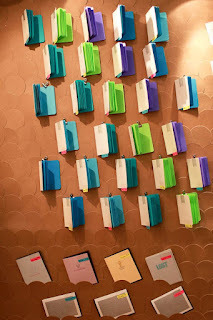 This studio creates an array of burn-cut, and tied embroidered stationery that literally stopped me in my tracks. 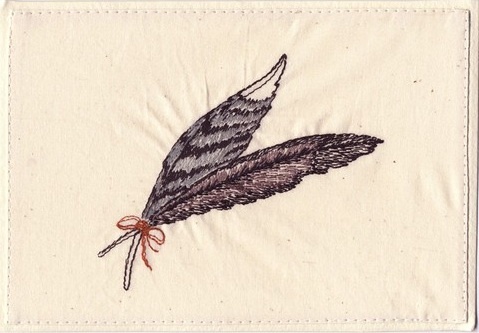 I mean, even their business card looks like something I want to frame! 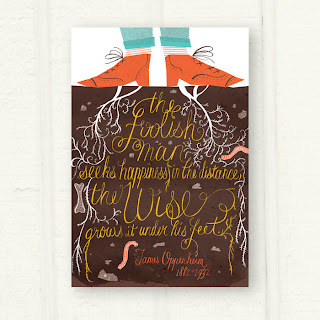 Their work feels earthy and hand crafted in the way we all wish our own would turn out. Coral & Tusk does it right and makes it look easy. Dandy Lion Press: I didn't get a chance to study the work much, or speak to the artist in person, but I still find myself so significantly drawn to this work. Stunning. Egg Press: I've been a fan of Egg Press for a long time at this point, always admiring their innovative die cut designs, and positively cute letterpress. They are also recognizably successful enough that I don't feel like I need to "spread the word" on the high quality of their products, as I have come to expect that of them. However, what I wasn't expecting was for such an established press to be so down to earth and approachable. I had the good fortune of speaking with the designers for more than just a moment, and came away further inspired and nerdfully gleeful, still. Eleanore Design & Illustration: I was predisposed to be a happy camper at this convention, what with all the paper, design, art, and people who also love all of these things, but meeting and speaking with this woman made the show. She was generous with both promotional giveaways (stylized iron-on puffin patch!) and her time, and really changed my initially defeated perspective on the conference. She could be seen any time throughout the week in excited conversation with both retailers and admirers, and was over all as bold and delightful as her work. She comes from a teaching background and holds strong to her own creative voice, while encouraging others to find theirs. 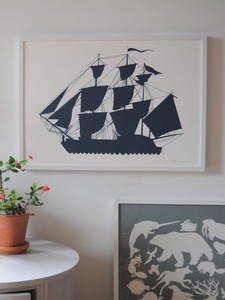 Beautiful and lovable screen prints, galore. Figs & Ginger: This studio didn't so much catch my eye for their woodcut cards (which are positively pretty), but for the wooden party products and their personal accessories. 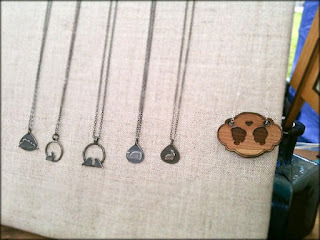 I've been obsessing over a tiny rabbit necklace for many-a-month, and lo and behold, they make it! And even with my own personal triumph aside, Figs & Ginger produces some of the most elegant and charming triangle woodcut bunting flags and silhouette cake toppers that are simply adorable! 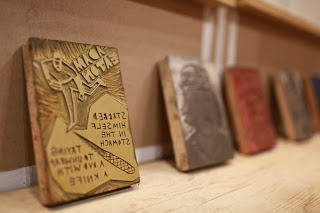 Hammerpress: I didn't get much of a chance to speak with the artists of Hammerpress, unfortunately, but I continue to find myself a little floored by their thick and saturated letterpress style. Using much heavier color blocks than your typical press, these prints and cards just about jump off the wall. And, their cards run on thick stock which makes for some amazing postcards! Between the vintage designs, the stylistic look, and the vast catalog, consider me a sucker in love. I've actually had the postcard photographed above in my collection for a year or so. It's a small world--but then, I guess it is "Stationary." Hyuk yuk yuk. 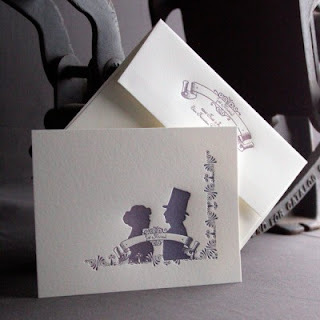 Jigsaw Graphics: This press runs a beautiful collection of letterpress household objects cards and products that I can't help but swoon for. 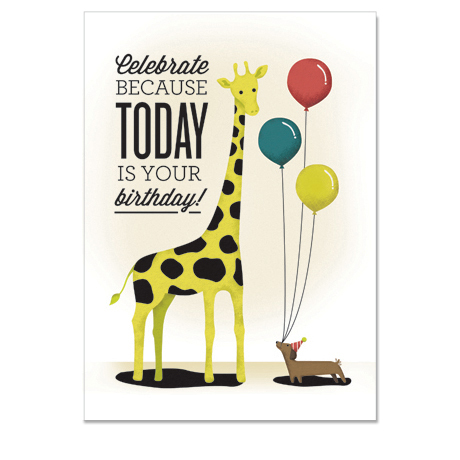 Using bright colors and simple line art, the result is everything you look for in a greeting--thoughtful and to the point. 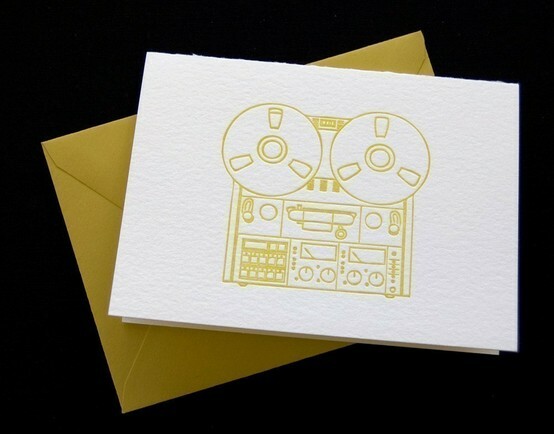 This press also succeeds exceedingly (say that 10 times fast) with their custom "doodle" letterpress, which takes a child's artwork and turns it into a line of stunning letterpress cards--a seriously adorable approach to holiday cards or party invitations. Left Field Cards: Hand carved lino prints as posters and postcards. The great raw aesthetic of the hand carved stamp was so wonderfully unique in the sea of letterpress that I couldn't help but stop and study the (beautifully) displayed blocks in something of a How It's Made inquisitive trance. This work is simple and approachable, traditional, and yet produced into a product that I could only see coming from this individual. Perfectly pleasant, in the fullest sense of the word. Lettuce Press: This press stood out most to me for it's natural aesthetic. 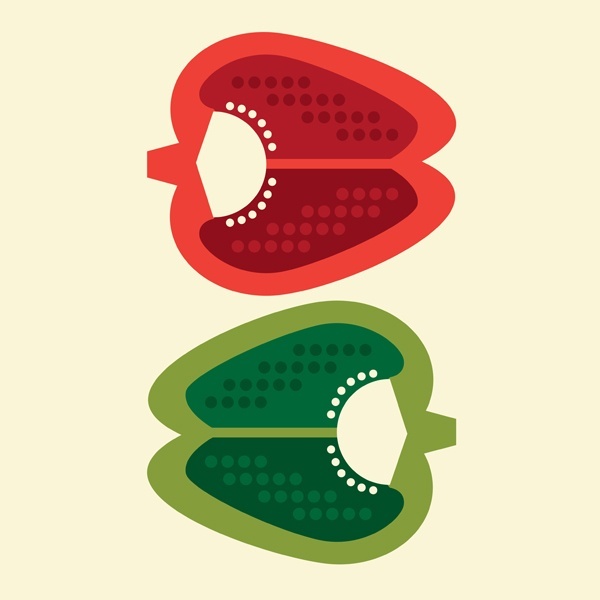 A husband and wife team; one works from a machine/industrial production background, and the other design and illustration. Together, they make a practical and creative force. 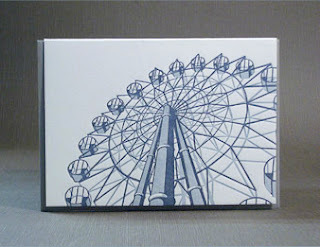 They use predominantly repurposed materials for their products, including construction cast-offs for their line of block-mounted prints, and bamboo for supplemental woodwork products such as place card holders and desktop organizers. Simply put: their work leaves you feeling happy, and that's real success. 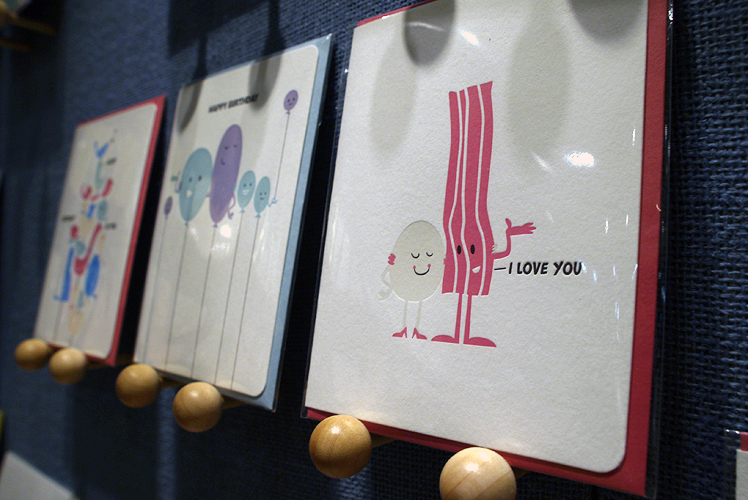 Maginating Letterpress & Design: Maginating has been blowing up with success lately, and just took home the Louis award for card of the year (see the above Bacon & Eggs card). 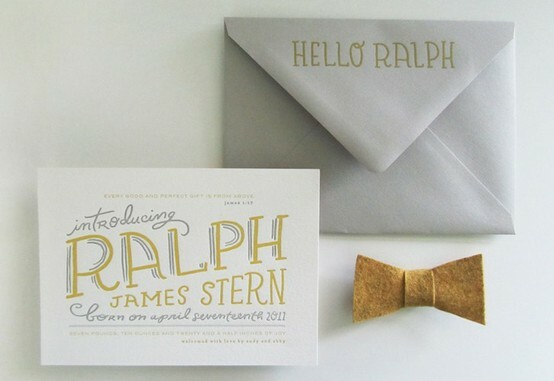 This press thrives on whimsical letterpress, inspired by a background in children's illustration. These folks were some of the nicest people I met at the show, which makes me all the more excited for their great accomplishment. 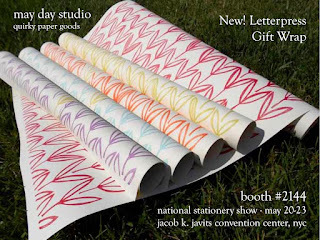 May Day Studio: I would like to make special note of the strength of this studio's work with patterns. I had the wonderful opportunity to talk somewhat at length with the artist (who kindly humored me as I repeatedly stalked the area surrounding her booth) and hear the back story behind their inspiration: hurricane floods and the changing face of her home state in the aftermath. The aesthetic flow of these repeating patterns brings the elemental structures to life, both as gift wrap and as stationery. Oddball Press: Magnificently quirky letterpress cards with notable line art envelope accents for additional "wow" factor. Wow, indeed. What a brilliant combination of design and imagination, wrapped up in what I can only hope is--and continues to be--rip-roaring success. Amazing product from an amazing press. 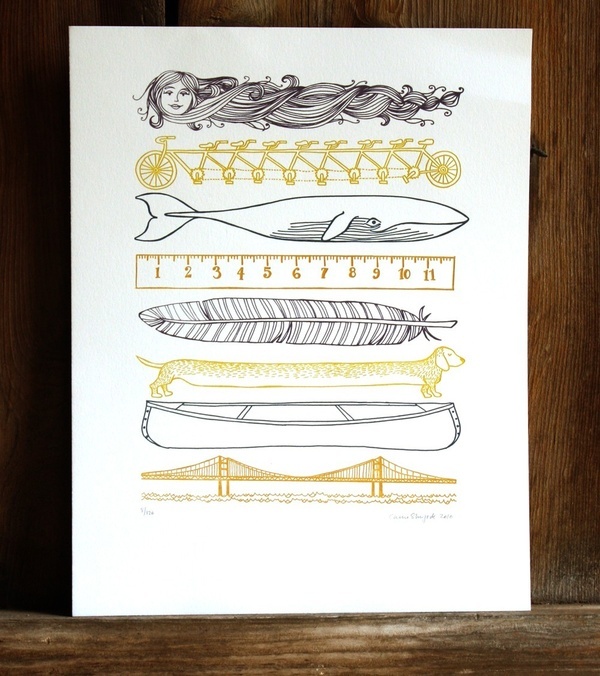 One Canoe Two: This press is what happens when you mix charming illustration with whimsical commentary. 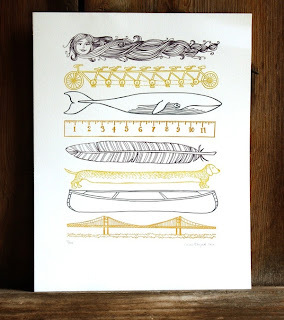 The above pictured "Things That Are Long" print is one of many products that boast of a sense of humor, as well as phenomenal design. This press has a growing catalog of beautiful pieces that belong in the homes and hands of many. Amazing work. Paper Boat Studios: Design done right. That is what I have to say about Paper Boat Studios. 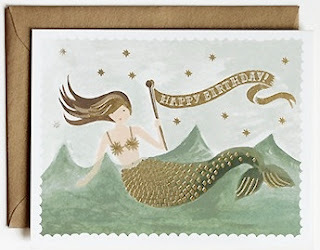 If you're not jumping with joy for their illustrated origami line--the most elegant and over all best of it's kind that I've seen to date, might I add--then you will be blown away by the Spirograph-esque beauty of their patterned cardscapes. 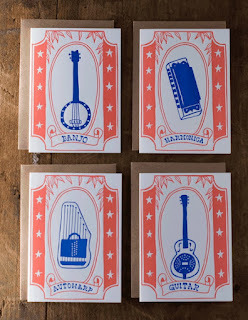 Letterpress is wonderful, but these designs outshine their own prints. 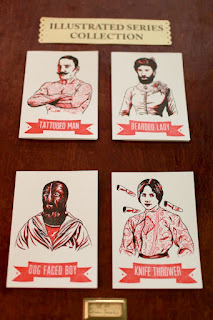 Papillon Press: This press has an incredible level of talent for illustration. 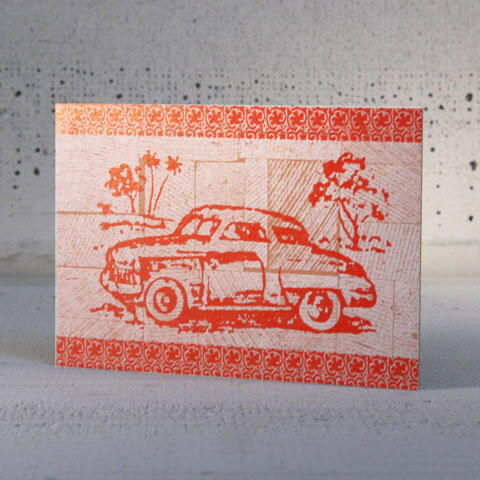 With a style so distinctly their own, they raise the bar on vintage aesthetic with their creative and simply gorgeous card series'. 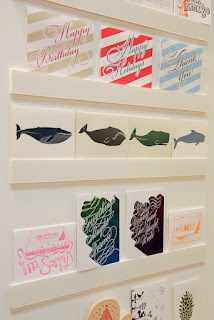 I'll admit that I'm a sucker for circus side shows, but seeing it blazoned so brightly in beautiful letterpress will have me making this particular collection my own. Papillon Press will be seeing more of me, and I bet they'd love to see you, too. The Regional Assembly of Text: I have been following the company--completely unknowingly, of course--for the last few months, with growing admiration. They share a similarly painted aesthetic with Rifle Paper co., which is what initially caught my attention about them, but have such a unique voice. From the welcoming line of their website ("We are so happy you found us. "), to their magically sweet and simple--but not at all saccharine or repetitive--illustrations, they are a friendly and fun, and a fast favorite. Rendij Studio: Based in Los Angeles, this studio brings the night sky back to the city. The featured moon calendar is unlike anything I've seen before, and so clear and meticulously letterpressed. Stellar work...teehee. Rifle Paper Co.: Stunning. Always. Anna Bond continues to blow the country away with her darling illustrations and straightforward message: Thinking of you. Rifle's work and growing success clearly speaks volumes for itself. 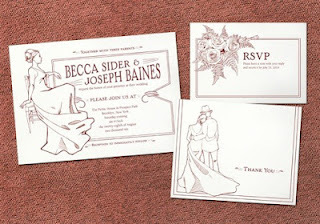 Sesame Letterpress: Beautiful vintage line art and portrait designs that utilize phenomenal pattern work. 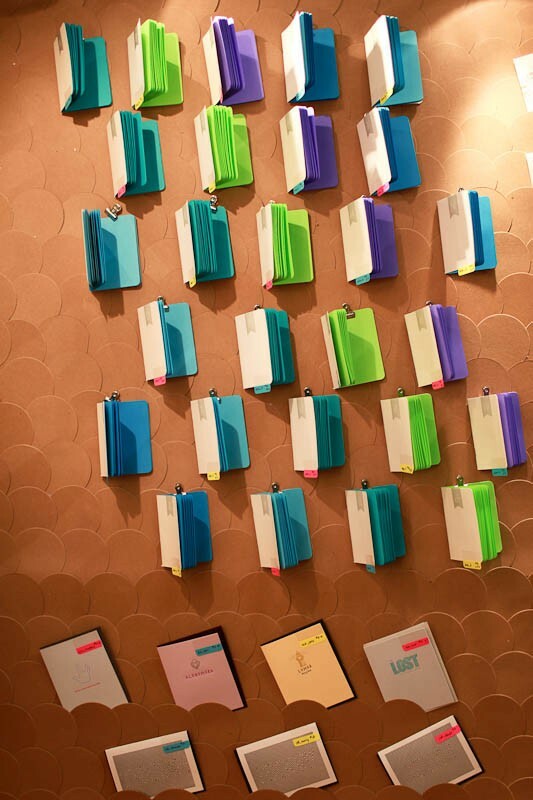 Their use of thin paper stock is particularly effective for such products as their letterpressed calendar, evoking distinguished elegance. Wildhorse Press: At this point in the post, I have already used the words "beautiful," "amazing," "marvelous," "gorgeous," and "wonderful" more times than is necessarily okay, but that's just what the work of this press is. I can only imagine that building up from the natural talent of the super friendly and enthusiastic owners was harder than they make it look, but you'd never know it. These girls are an asset to the industry, and I look forward to seeing how they continue to grow. 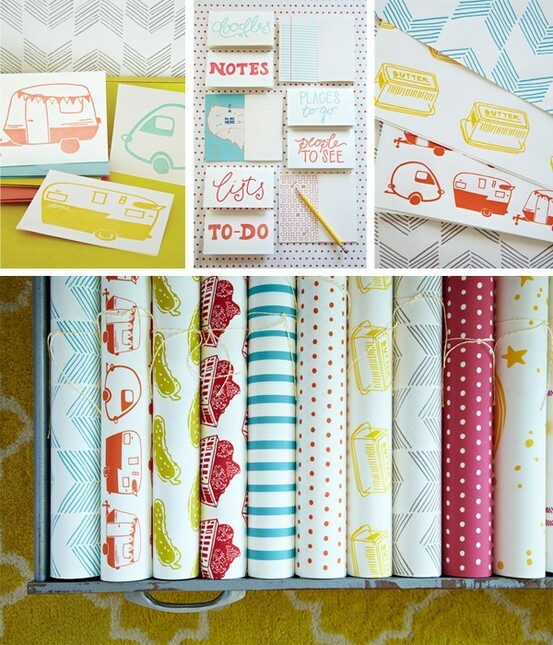 Belle and Union: These bold single color prints look amazing on a card, gift wrap, or tea towel. 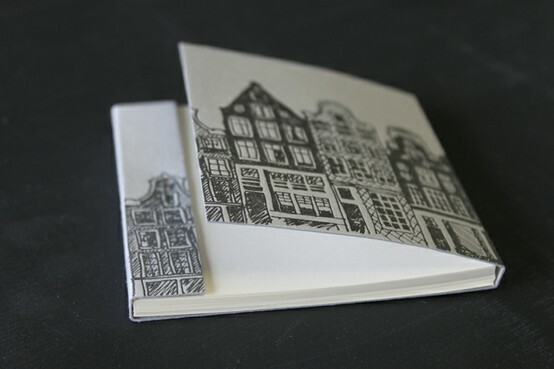 Dingbat Press: Cityscape cards and monogram single-signature pocket journals. 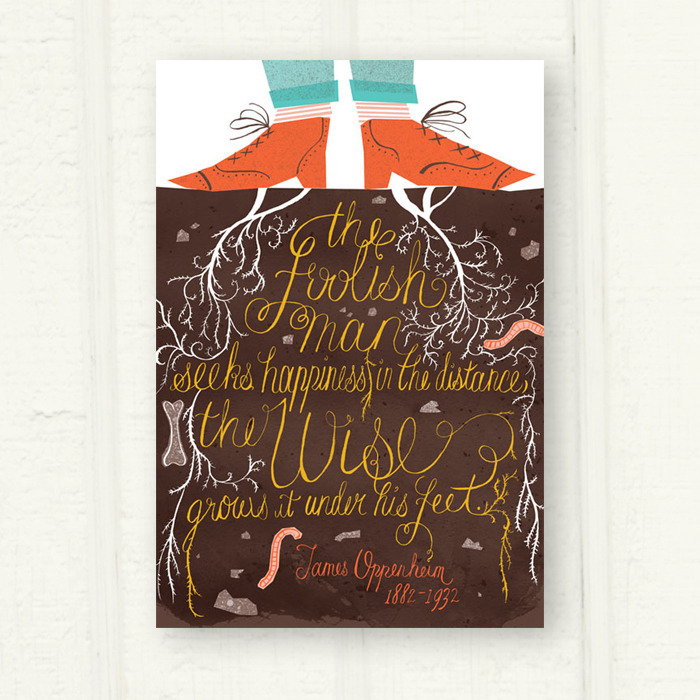 Enormous Champion: Bold color prints and cards that pack a punch of personality. 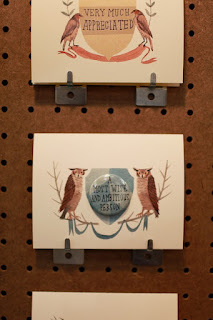 Fat Bunny Press: Stinking adorable letterpress. Seriously. Flywheel Press: Orchestrated the Matchbook Scavenger Hunt promotion, in collaboration with 16 other presses, and Legion Paper supplier. 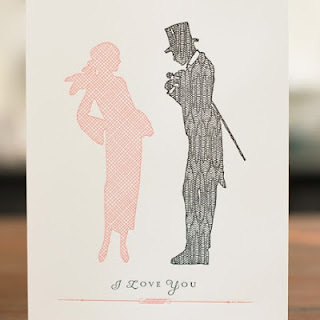 Look out for the upcoming "Classic Moments" card series, featuring letterpress renditions of iconic movie scenes from such films as Sixteen Candles, Casablanca, and more. 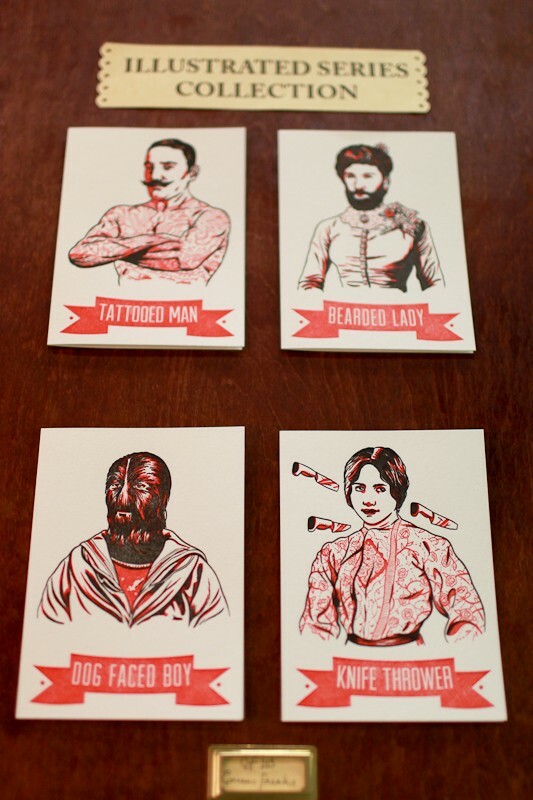 Fresh Frances: Widely distributed printed cards with a popularly punny sentiment, based out of Chicago. Owned and run by a wonderfully friendly--and increasingly successful--woman. 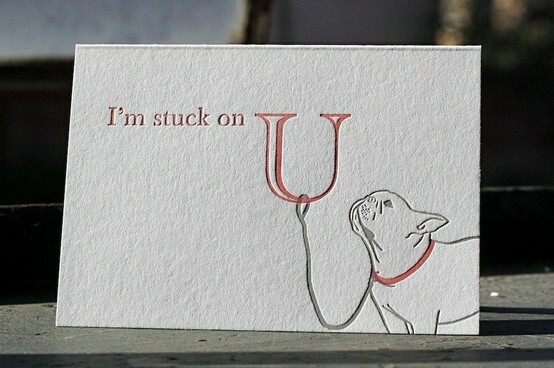 Moglea: Ever-charming typography and illustrated stationery. 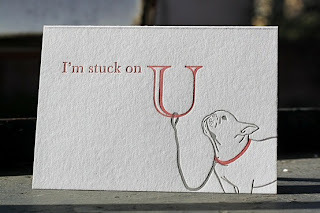 The Nic Studio: Illustrated letterpress a cut above the rest. Original and innovative designs make these cards feel like the event, rather than just the invitation. 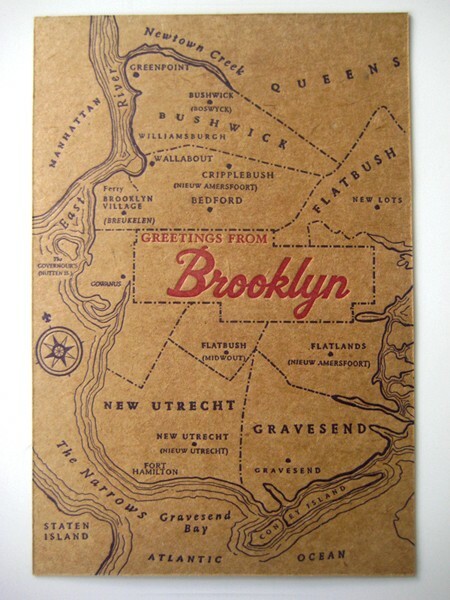 Pepper Press: Beautiful color and blank (no ink) letterpress designs, and phenomenal geography cards. Pistachio Press: Saturated colors make these simple designs pop off the page. Revolver Journals — Based on the mechanism of a Jacob's Ladder toy, these journals make use of a revolving split spine to allow you to flip not only the outside color/design of the journal but also the orientation of the pages to either ruled or plain paper. Exceedingly clever engineering from a truly lovely woman, and so I felt the need to mention and further share them. 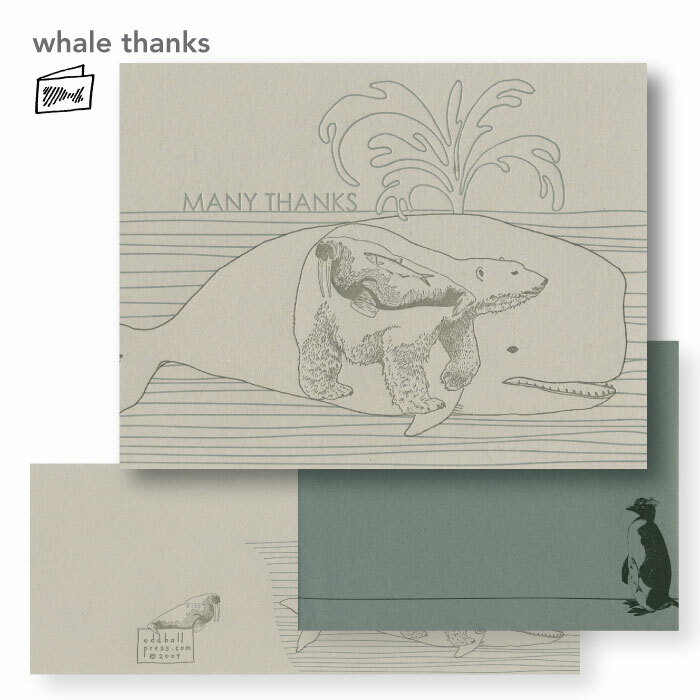 Ruchi Design: Graphic greetings from a two-time team of twins. A fabulous duo on and off the clock. 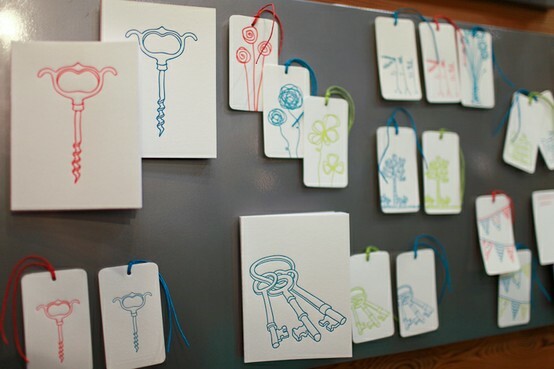 Sweet Bella, LLC: An innovative line of bookbinding and stationery accessories, as well as stitched postcards from around the world. 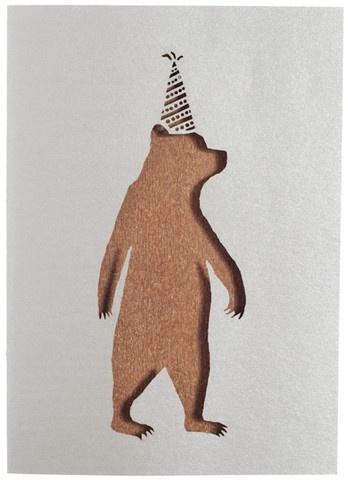 This Paper Ship: Husband and wife team of illustrated whimsy. Light-hearted and sweetly stated. 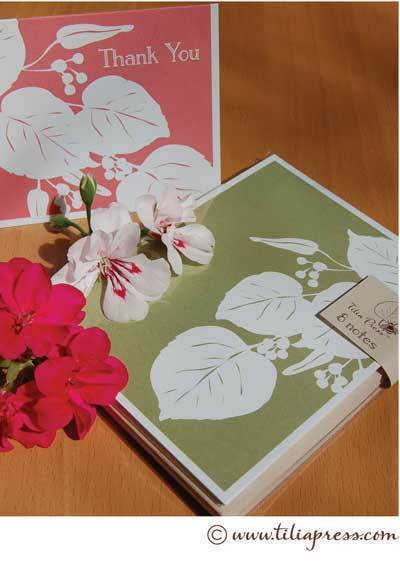 Tilia Press: Eco-friendly, nature inspired greeting cards created by a wonderful and creative woman. Such a pleasure, having a chance to see this line, and meet the owner. I look forward to watching this company grow (no pun intended, but always appreciated). A special thank you to all of the talented and welcoming artists at the National Stationery Show 2012, for speaking with me, and for making an example of yourself for future stationers. I walked away from the show with everything I had hoped to find, and more, and I have all of you to thank for such a pleasant and beneficial experience. Best of luck in everything you're working toward, and I hope to see you again in the coming years--in time, from the other side. lovely wrap up. you covered a lot of ground + found some gems. Claudia Gallant here--long-time friend of both your wonderful parents! (remet you at Courtney's wedding...) Your blog is outstanding and is now bookmarked. 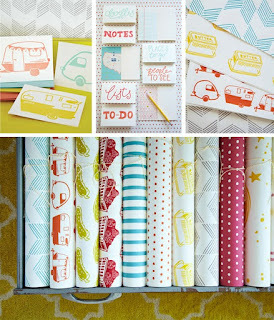 I have just skimmed over all these finds at the stationery convention and I am drooling. Truly we must be kindred spirits. I have forwarded your blog on to a few like-minded friends as well. Best of luck with Warrentales. I will be checking often.